A local private investor has purchased a trophy retail asset in the Chatswood CBD at auction for $25 million with a sharp yield of 3.9 per cent, outbidding over 10 groups who flew in from Hong Kong, China and interstate to be present at the auction of 425 Victoria Ave, Chatswood. Sold through Dominic Ong, Linda Zhu and Brett Burridge of Knight Frank on behalf of a private investor, The Law Family, the two storey building comprises retail banking and first floor business banking on a 550 sqm site and is 100 per cent leased to Westpac Banking Corporation until 2021. 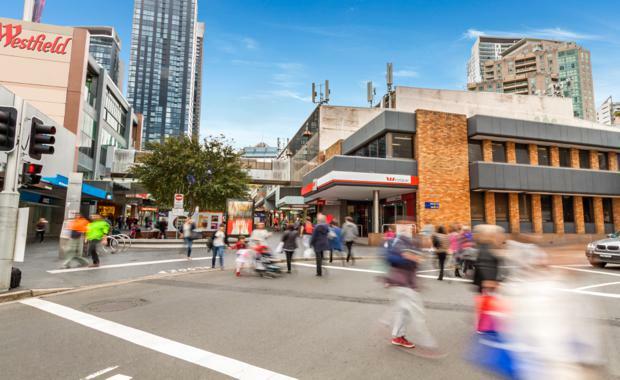 According to Knight Frank’s Senior Director - Asian Markets, Dominic Ong, “the purchaser saw this as a safe haven investment, underpinned by the growth and transformation of the Chatswood CBD together with the strong tenant and secure income stream. “There was intense competition in the auction room as this was a rare opportunity to secure a highly sought after freehold asset situated on one of the busiest intersections directly opposite Westfield and The Concourse and within 150 metres of the Chatswood Interchange,” he said. This is the first time this property has come to market in over 15 years and there is potential to split the ground floor into multiple tenancies with independent frontage along Anderson Street. Chatswood is renowned as a prominent Australian shopping destination, and is home to national and international headquarters. Conveniently located 8.5 kilometres north of the Sydney CBD, Chatswood is the transport hub of Sydney’s north shore. Knight Frank’s Associate Director - Asian Markets, Linda Zhu said, “The Asia and Interstate roadshow really lifted the profile of this asset and helped us tap into our global network of High Net Worth Investors looking for a sound investment in Sydney. “Being Sydney’s third largest CBD, Chatswood is well renowned as one of Australia’s top retail destinations with more than 200,000 sqm of retail space in the two major shopping complexes, Chatswood Chase and Westfield Chatswood, and surrounding mall and street shopping. “The shopping district alone attracts more than 20 million shoppers annually, bringing world class restaurants and cafes to over 40,000 locals and visitors daily. This asset is a superbly positioned generational asset,” she said.